Questa Formal Verification Team in Mentor Graphics Egypt is looking for new candidates to join us. If you have a real interest in Digital Design Verification, want to get introduced about the new challenges, trends and up-to-date techniques/methodologies in functional verification, if you have passion about learning and practicing how this activity has scaled up to include complementary techniques like simulation based verification augmented with constraints solvers, coverage analysis , assertion based verification , power aware verification , formal based verification, advanced formal checks and clock domain analysis. If you are a highly qualified engineer who is really interested to be part of highly talented group that is the main contributor in validating one of modern functional verification solutions providers in EDA industry. Even if you are with 0-years of experience but a great learner and capable to wrap up with functional verification technologies please do not hesitate and send us your CV at eman_mandouh@mentor.com / resume_egc@mentor.com with mail subject “Candidate for Questa Formal Verification”. Following are more details about the Job Qualifications, Roles and Responsibilities. B.Sc., M.Sc. in Electrical Engineering, Computer Engineering . Graduation Grade: Excellent or Very Good with Honor Degree. Good Knowledge about Digital/RTL Design Basics is Required . 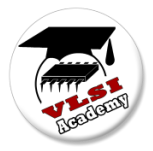 Good knowledge about any of Hardware Description Languages such as VERILOG , VHDL or SystemVerilog is Required. Good Knowledge about Assertion Specification Languages such as (PSL, SVA or OVL) is a Plus. Candidates with Prior Knowledge of Mentor Graphics Tools such as Simulation, Synthesis , Design Entry or any Functional Verification Flows, … will be considered. Good knowledge with scripting languages such as Shell/Perl and TCL/TK is a plus. Knowledge of Quality Assurance Concepts and SW Testing. Knowledge about Testing Strategies, Test Planning and Testing Automation Tools. Knowledge about Defect Tracking Systems, Configuration Management and Code Profiling Tools . Excellent Communication/Presentation Skills, Self Motivated Engineer with Good Capability for Continuous Learning. Work with Marketing and R&D Groups to Get Deep Understanding about the Newly Integrated Features in Every Release. Prepare, Maintain and Execute the Test Plans which Guarantee High Functional Coverage for Features Under Test. Add New Test cases to Comply with Pre-defined Test Plans and Incrementally Improve Regression Coverage. Participate in Test Automation and Graphical User Interface Testing. Understand Customer Usage profile for QFT Flows and Help in the Integration of Real Industrial Designs into our Test Environment. Hold Performance Measurement Iterations to Capture Tool Performance Data across Consecutive Releases and Report Deviations. Report the Un-covered Bugs to Development Team and Having the Ability to Set Priority and Criticality of Filed Bugs. Help in the Automation of QA/Test Process to Eliminate the Waste from Doing This Manually. Utilize Code Coverage/Analysis tools to Quantitatively Judge our Test Coverage. Revise our Test Effectiveness and being Able to Drive Solutions for Weak Areas and Initiate Improvement Ideas. Verifying Final Product Conformance to Pre-Specified Quality Exit Criteria and Being Able to Take yes-to-go Decision for Consecutive Releases. Able to Learn about new HW-Verification Technologies , Trends and Solutions.